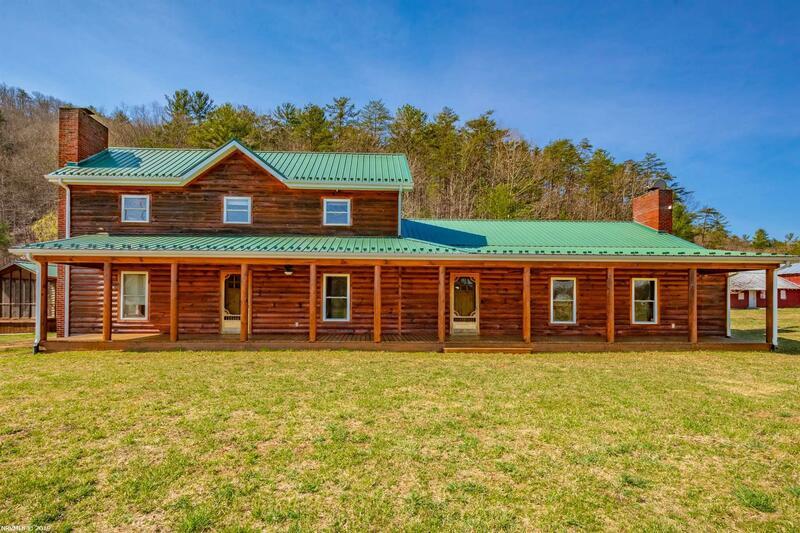 Very private and secluded 340 acre farm bordered by the creek on the front & one side and the National Forest on the rear. 1/3 in flat pasture land and the rest in woods & marketable timber. 3 ponds, one very large & stocked. Streams throughout. Two very large barns, smaller barn & outbuildings. Large fenced garden, landscaping, and 2 wells. Home was renovated and added onto with log siding, wood interior, 28 x 16 gourmet kitchen, lots of stainless appliances, huge walk-in pantry, Large great room with fireplace & log pass through. Upgrades throughout home including Jet Tub, claw Tub, steam shower, solid surface countertops, central Vacuum, 2 heat pumps, outside wood burning furnace, Master on Main, screened & open porches. Log Guest Cabin, fully equipped. 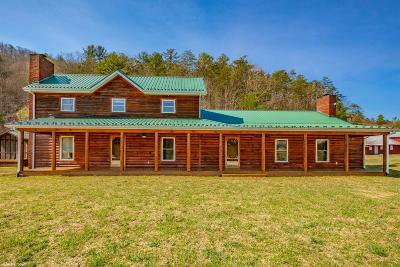 4 miles of trails throughout property for walking, hiking, ATV riding. Plenty of wildlife for hunting or watching. A very unique & secluded property. No driving by, locked entrance. Listing Agent was previous owner. Directions: I-77 N, Bland Exit 52. Right 1 Mile To Main St. Left One Block, Right On E. Bluegrass Trail (42) 9 Miles. Left On Price Ridge (608) 2 Miles. Go Over Bridge, Pass 2nd Home On Left (Green), As Soon As Guardrail Ends, Take Immediate Left Into Driveway. Locked Gate. Appointment Only.